2 What is a Composition about? 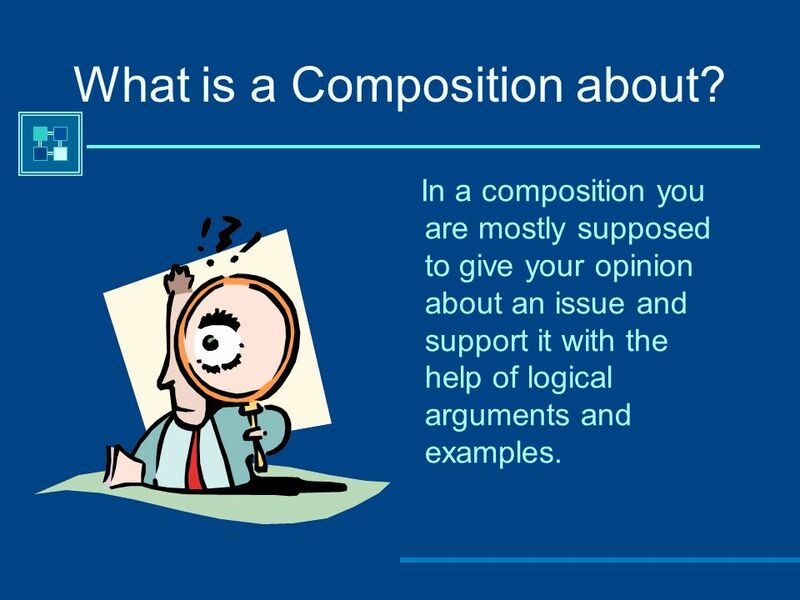 In a composition you are mostly supposed to give your opinion about an issue and support it with the help of logical arguments and examples. 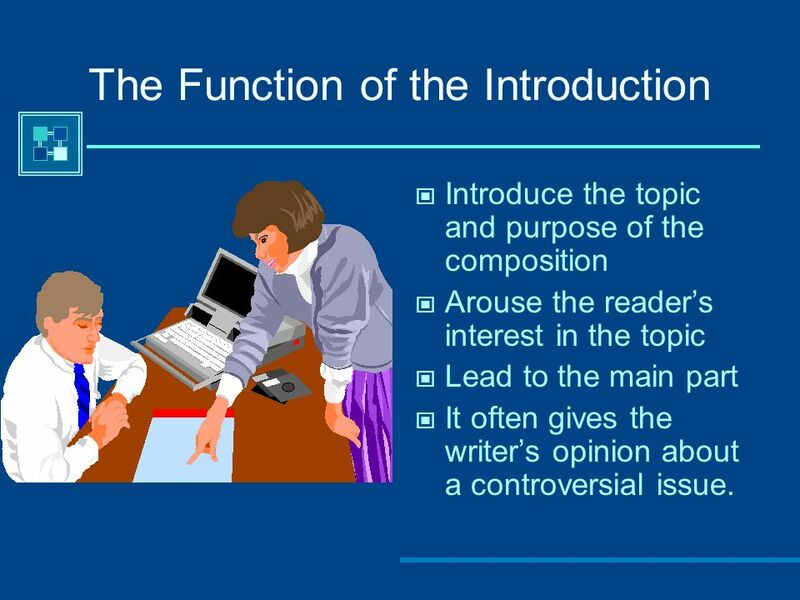 Introduce the topic and purpose of the composition Arouse the reader’s interest in the topic Lead to the main part It often gives the writer’s opinion about a controversial issue. 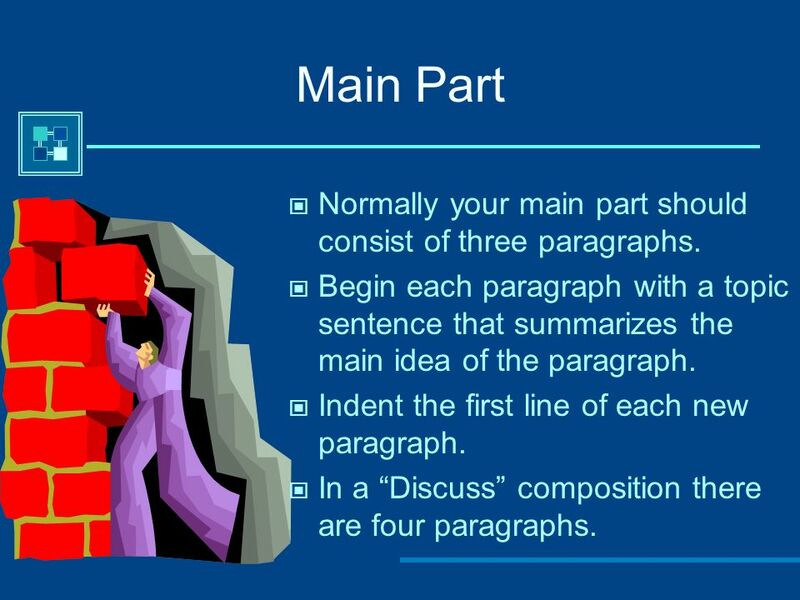 9 Main Part Normally your main part should consist of three paragraphs. 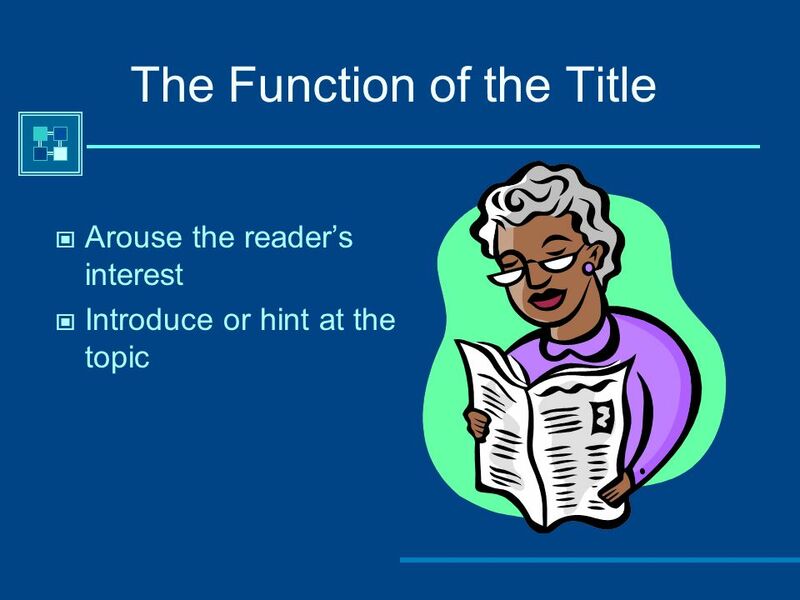 Begin each paragraph with a topic sentence that summarizes the main idea of the paragraph. Indent the first line of each new paragraph. In a “Discuss” composition there are four paragraphs. 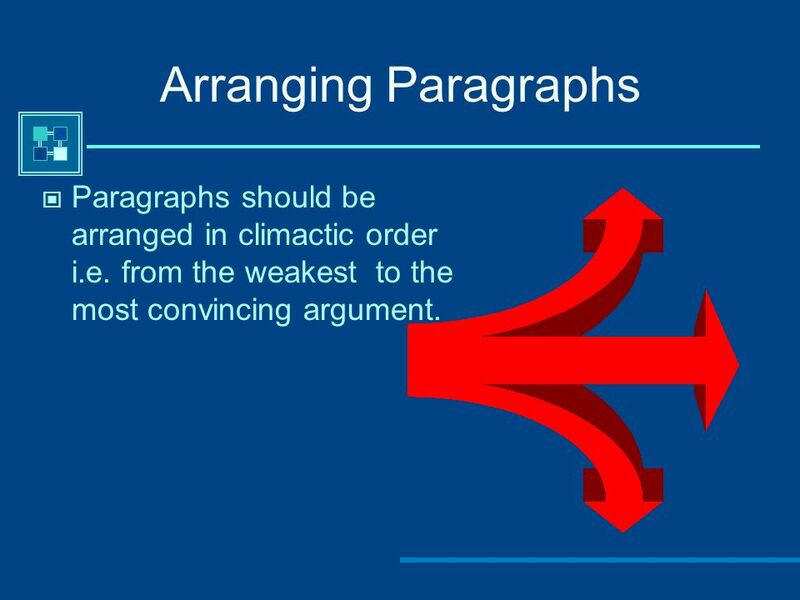 10 Arranging Paragraphs Paragraphs should be arranged in climactic order i.e. from the weakest to the most convincing argument. 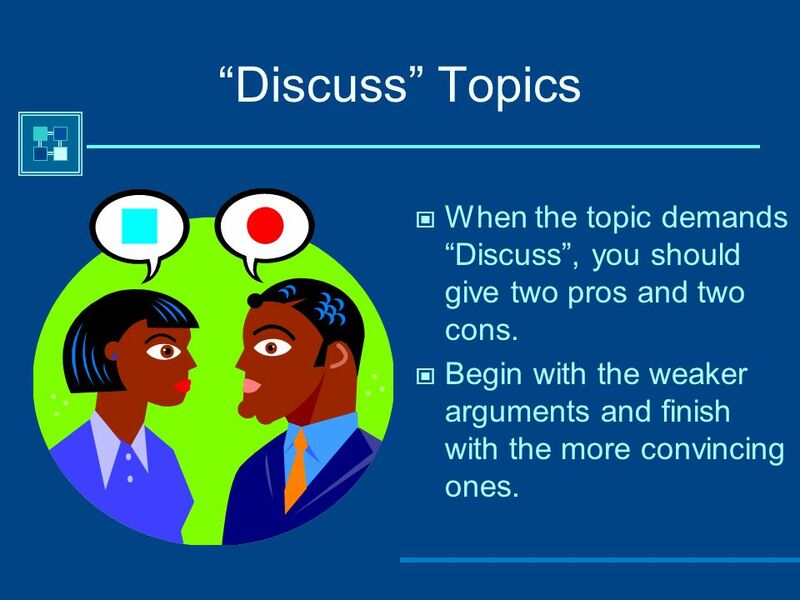 11 “Discuss” Topics When the topic demands “Discuss”, you should give two pros and two cons. Begin with the weaker arguments and finish with the more convincing ones. 12 Conclusion Don’t just repeat yourself. 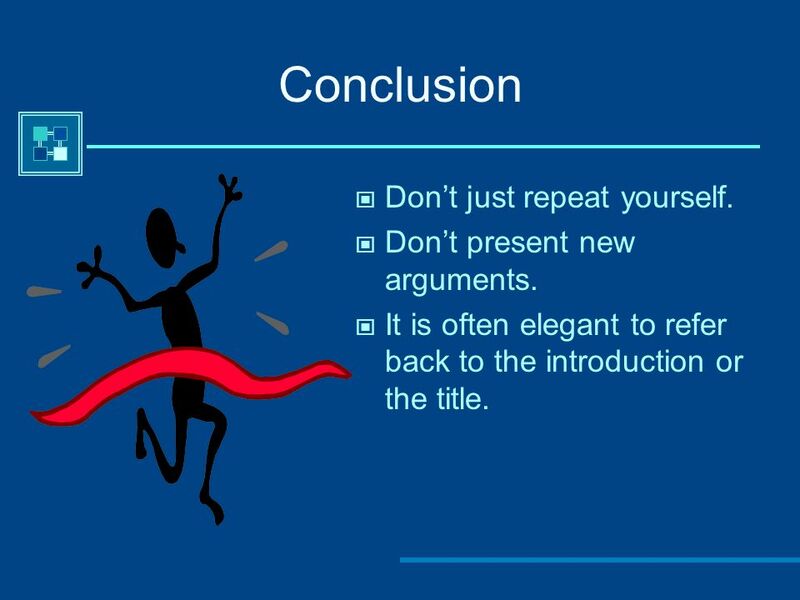 Don’t present new arguments. It is often elegant to refer back to the introduction or the title. 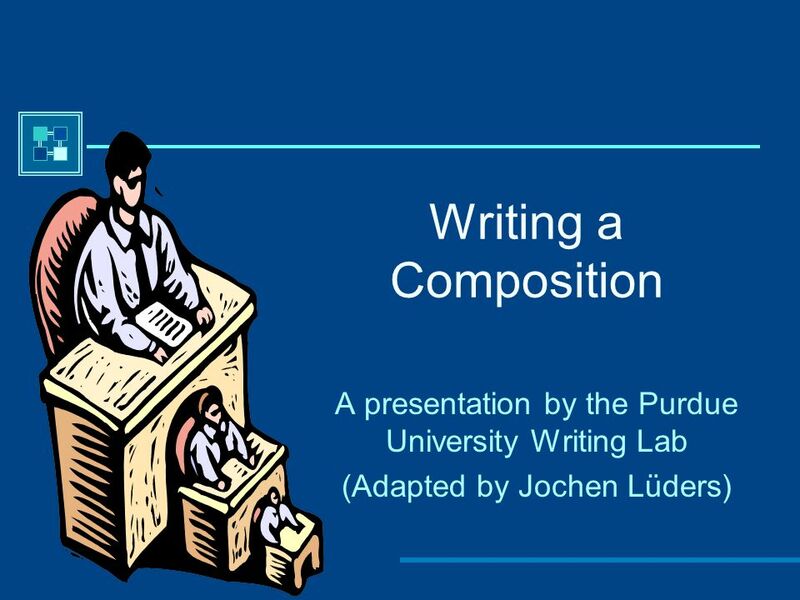 Download ppt "Writing a Composition A presentation by the Purdue University Writing Lab (Adapted by Jochen Lüders)"
Writers Workshop Writing Introductions Mrs. Powers Osceola High School 2008. Writing a Balanced Argument. Title A simple statement or question to draw attention to the issue. Introduction A short opening, explaining how the issue. 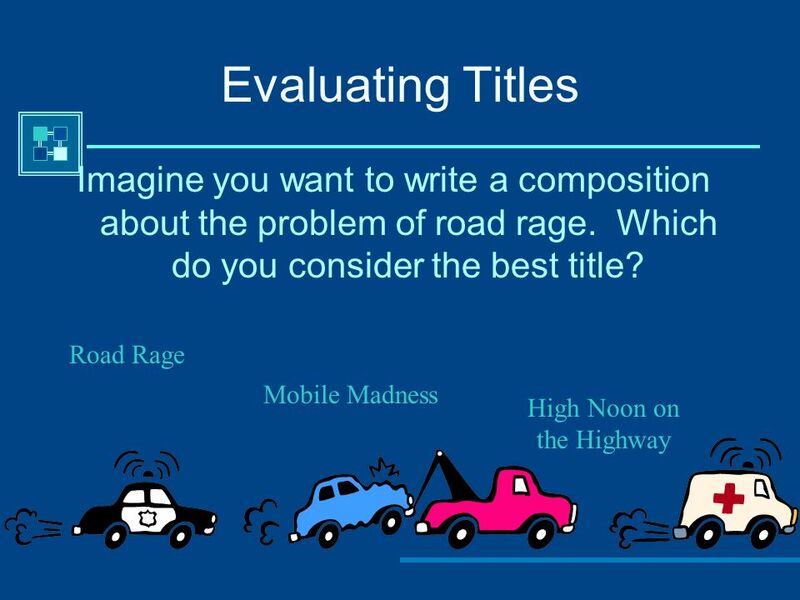 Purdue University Writing Lab Organizing Your Argument A presentation brought to you by the Purdue University Writing Lab. Organizing Your Argument The Argumentative Essay. Argumentive Writing1 Rubina Parveen MSc Nursing. Year II, Semester I Subject: Academic Writing II Faculty: Sir Sardar Bux April 03, 2010. Persuasive Essay Mrs. French English II. What is persuasive writing?  Expresses the writer’s opinions  Tries to get the audience to do what you want. 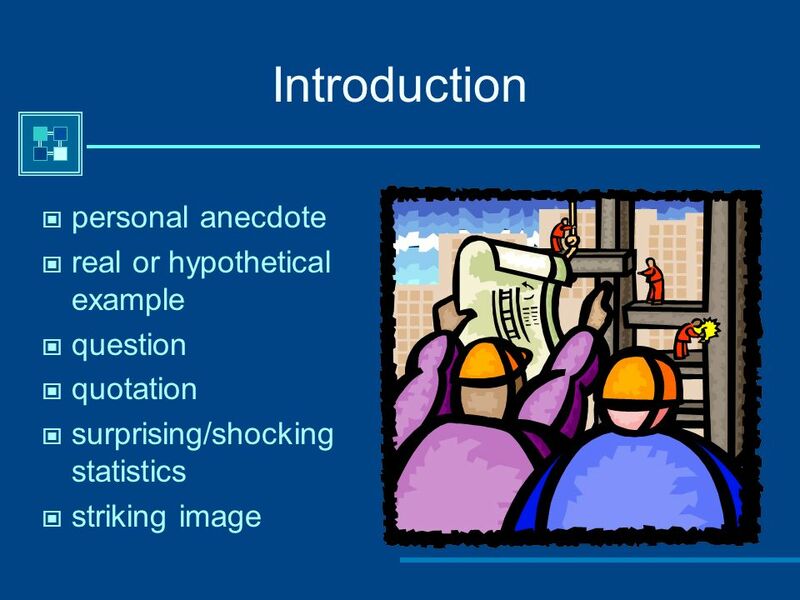 The Writing Process Strategies for Effective Introductions & Conclusions. 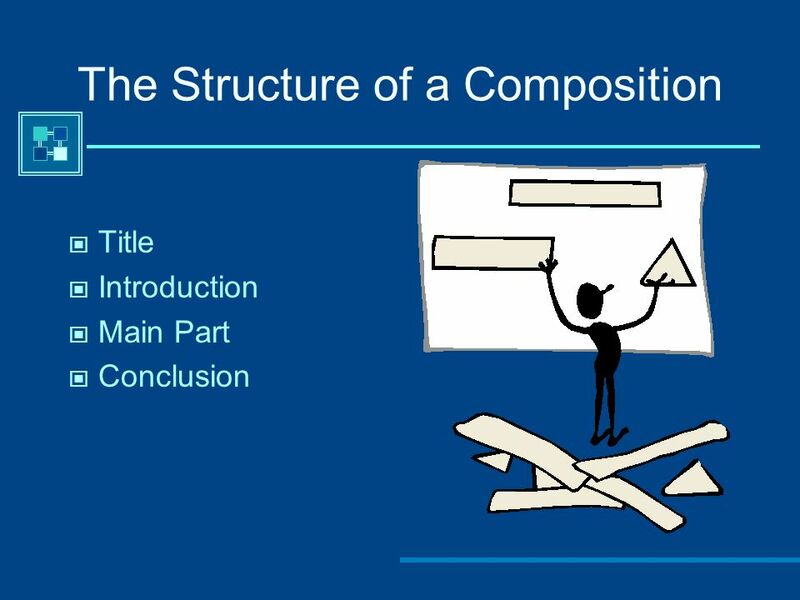 How to Write Concluding Paragraphs Students ’ Step by Step Guide. BODY PARAGRAPHS. 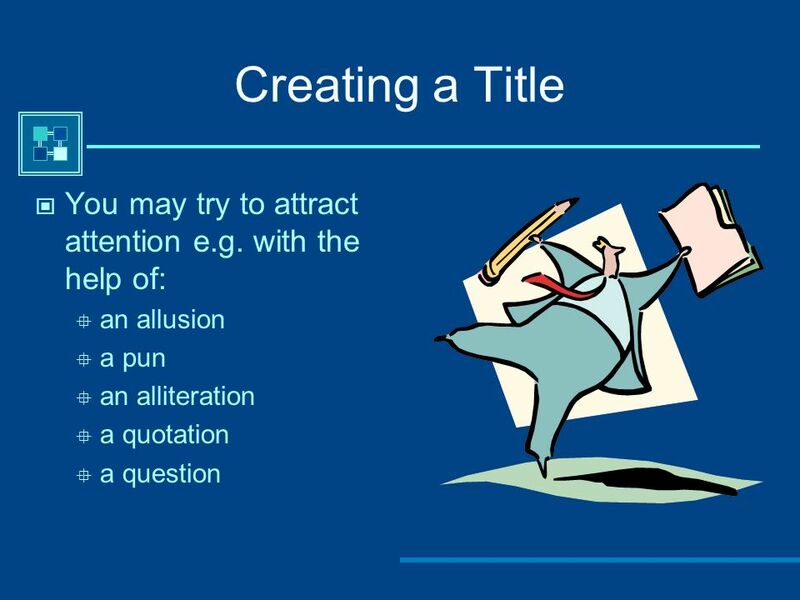 The basic aim of the body paragraphs is to explain the thesis statement of the essay. This is the part where all the arguments are presented. Modified from Resources of the Purdue University Writing Lab Paper Writing: Making an Argument. GHOST STORIES G5A4 G5A4 Reminder: Make sure your story has: ◦ Protagonist.